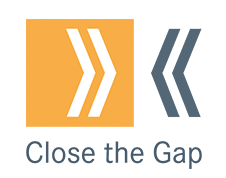 Close the Gap is Scotland’s expert policy and advocacy organisation working on women’s labour market participation. We work strategically with policymakers, employers and unions to address the causes of women’s inequality at work. Close the Gap was established as a partnership initiative in 2001, and became a Scottish Charitable Incorporated Organisation in 2016.